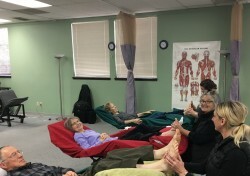 Though we were few, those who attended the October 2018 ORN Meridian Reflexology Workshop with Teri Hoskins had a great time! 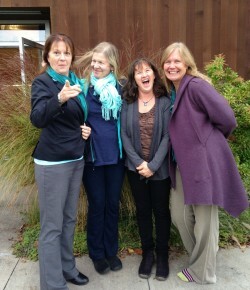 Our introductory class was only 4 hours, but it added valuable tools to our reflexology kit. 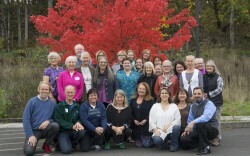 The October Hood River Touchpoint weekend was a great success, with 25 attendees for the two-day workshop: Round About: Hip, Sciatica, Knee. Thank you and Bravo! to Peter Lund Frandsen and Dorthe Krogsgaard for an exciting and illuminating class, and to ORN's Marie Louise Penchoen for arranging it. 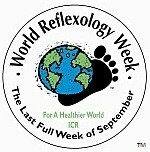 World Reflexology Week takes place during the last full week of September: September 19-25, 2016. 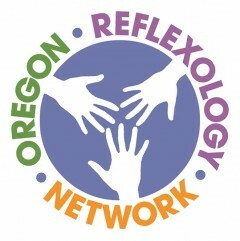 As reflexologists, there are lots of things we can do to celebrate. 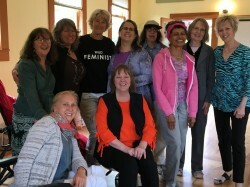 The Reflexology Association of America (RAA), with whom ORN is affiliated, has changed their requirement of training hours for attaining Professional status. The requirement has been 200 hours up till now, but it will be 300 hours after July 1, 2014. As an affiliate ORN has to comply with this change.